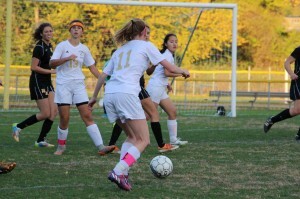 Recently Senior Night of the Varsity girl’s soccer team unfolded at the last game. After the game, the seniors were given flowers and gifts for their time commitment and great playing throughout their high school career. 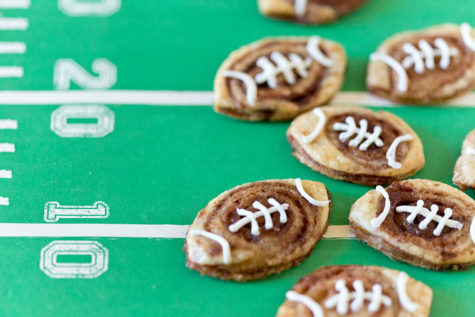 The following photos captured the excitement of the final game. Player number 9, Christine Choi, in action on the field. 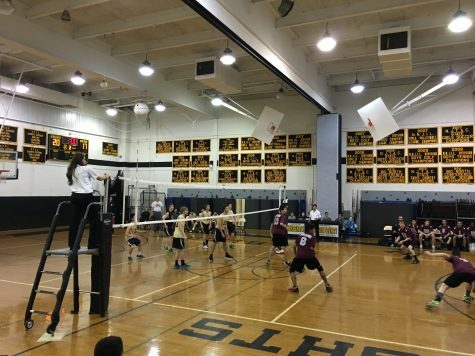 Bergen Tech players, Georgia Saks and Jamie Anderson, go to fight for the ball. Player Ari Amato takes control of the ball and clears it makes her way to the goal. 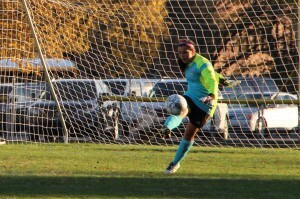 Goalie Sandra Torres makes a great save and punts the ball out of the goalie box. Player number 14, Aliyah Dixon, against a West MIlford player. Cache (Sierra) Angus take the ball and makes her way to the goal. Players Jamie Anderson, Sam Hwang, and Joella Chase on the bench, cheering their teammates on. Joella Chase taking an indirect kick. 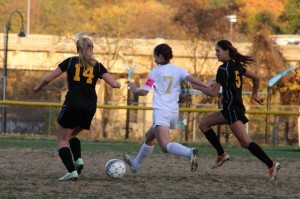 Katie Katz chasing after a player to gain control of the ball. Jamie Anderson going to pass the ball to another BT Lady Knight. 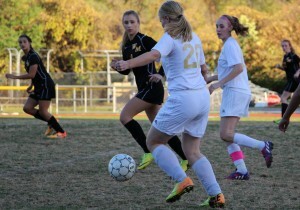 Katie Katz fending off two West Milford players. Christine Choi and Jamie Anderson working together to try to score a goal. Cache (Sierra) Angus prepares herself to try to take a shot. 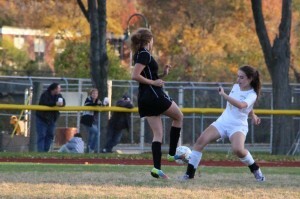 Bailey Mcnamara playing defense and preventing a West Milford player from getting past her. Player number 5, Georgia Saks scoring a goal. 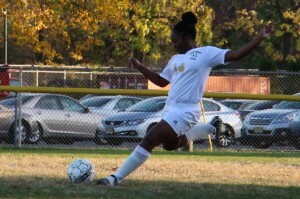 Aliyah Dixon taking a goal kick. 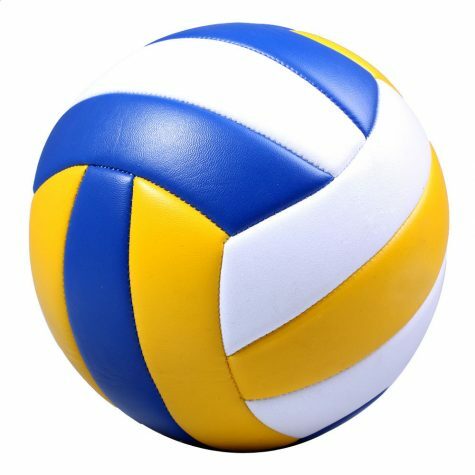 Missy Mehringer taking the ball up the line.